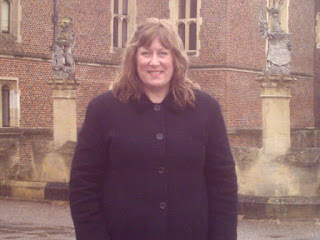 In November 2006 I was on a solo holiday in England. Half a world away from where I live in Australia, I was realizing my long-held dream of visiting the magical world of Jane Austen. 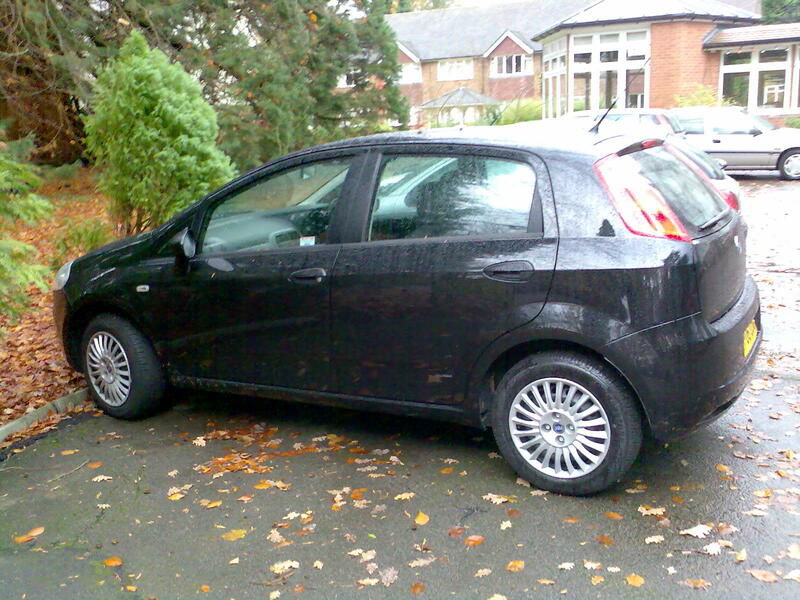 In heavy rain, I left London and drove along the M3 in my little black Fiat that I’d only just hired that morning. Cars whooshed past as I huddled inside my buzz box. The windscreen wipers worked furiously but failed to keep up with the deluge. I thought I saw a signpost saying Slough, a village I thought I needed to pass through on the way to Jane Austen’s house. I made the decision to get off and assumed if I was wrong I would simply get back on the freeway and keep going. So I took the next exit ramp but it seemed rather narrow once I was on it. However, I was committed and had to keep going. Unfortunately for me, the off-ramp turned into a laneway which wasn’t the main road I was expecting. It was a one-way exit from the freeway. So I had no option but to keep driving while worriedly looking for more signs. I drove for a few miles through green pastures when I started to have a meltdown. Where was I and how was I ever going to get back to the freeway? What if I didn't find my hotel that was already booked. I pulled over and let the panic take me. I balled for a while and when I stopped I realized that crying wasn’t going to solve the problem of being in the middle of nowhere. I wasn’t going to get rescued because it was a very quiet lane. I started to drive again and hoped that eventually, I’d find a village or even a house where I could ask directions. I drove on for what seemed like a long time, but I think I’m an unreliable witness in my panicked state. A T intersection brought me to a halt and a small cluster of houses and a Pub relieved a little of the panic. But there was absolutely no signage to enlighten me where I was. I parked in the pub car park and now noticed that at least the rain had eased to something between light rain and drizzle. I shrank inside. I'd created a spectacle of myself which I'd been brought up to avoid at all costs. I also didn't feel very safe. Instead of feeling more in charge of my situation I felt things were spinning way out of control. ‘I DO,’ said a well dressed middle aged man, sitting at the table with three other men dressed in laborer work clothes. I took in the beers they were drinking, it looked like the boss was buying a round after a mornings work. I decided to take the chance that they would help. So I paid for my coke and scurried over to them as the buzz of conversation started up again. The well-dressed man asked where I needed to go and I told him, Jane Austen's House but I wanted to check in for the night at Fleet. He said I didn't need to go through Slough but to get off at the Fleet turnoff. He explained that I’d got off the M3 too soon, it was easiest if I just waited until they finished their drinks and I could follow him back to the freeway. He was having lunch at his daughter's house and didn’t need to go on the freeway but he could go that way to show me. I sipped my coke as he chatted to me kindly asking where I was from, and when he found out I was an Aussie he told me about every friend and relative of his that lived in Australia too. He led me back to the freeway in his silver Mercedes Benz. When the Fleet exit came up he put his left indicator on. I went off and he stayed on the motorway. I found my hotel, checked in and stayed put. 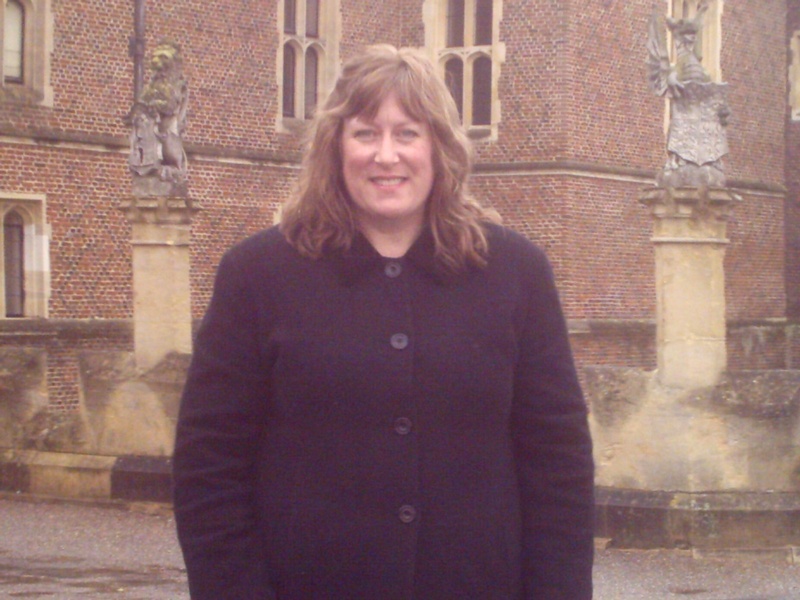 I went to see Jane Austen's house the next day when I was calmer and could enjoy it properly. Does this story familiar, like something you’ve read before? It’s the real-life event that created the inspiration for 'The Scottish Billionaires Secret Lover'. I've included the first chapter excerpt containing a scene very similar to this in past posts. Of course, Natalie has a much bigger adventure than I did but mine was plenty big enough for real life. To this day I still have no idea where that pub was. I'm kicking myself for being so panicked I didn't ask, but I’ll always remember how, despite all the anxiety, I had been able to carry on. It was such a profound moment in my life that it inspired a book about a woman who’d lost everything and had to start again, relying on her inner strength. What an amazing inspiration for your story, Dora! Most of us are stronger than we think. A challenging life teaches us how strong we really are. Can't wait to find out how your heroine and hero earn their happily-ever-after. We all have challenges and even call some of them "adventures" with being lost and losing someone or something precious to us two of them. I'm always amazed at what we are all capable of achieving when we decide to go forward. It's that pivotal point of choice that I find fascinating in real life and in stories. Was your visit to Jane Austen's house all you thought and hoped it would be? Being lost panics me as well. Especially, if I'm in a foreign country. I've been lost in Paris, taking the train in the wrong direction and then mistakenly thinking I could walk back to my destination. Not a single person I asked "parlez vous anglais" said "Oui." And that was practically the extent of my ability to speak French. I've also been lost in the UAE. Surprisingly, not as scary because many people speak English. What a great idea to use that inciting incident as the beginning of your book and then ramp up the challenges. May your future adventures be not quite as panicky.